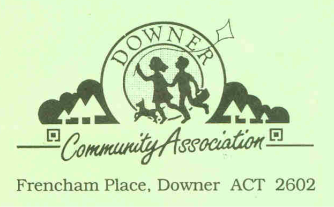 The suburb of Downer was gazetted on 7th April 1960, and was 50 years old in 2010. To celebrate the occasion, an event was held on Saturday 28th March in and around the Downer Community Centre. A feature of the event was the participation of tenants of the Community Centre, selling or displaying their items. Over 2000 present and former Downer residents attended, and a fun day was had by all.